It’s been quite an exciting year for Vivaldi. 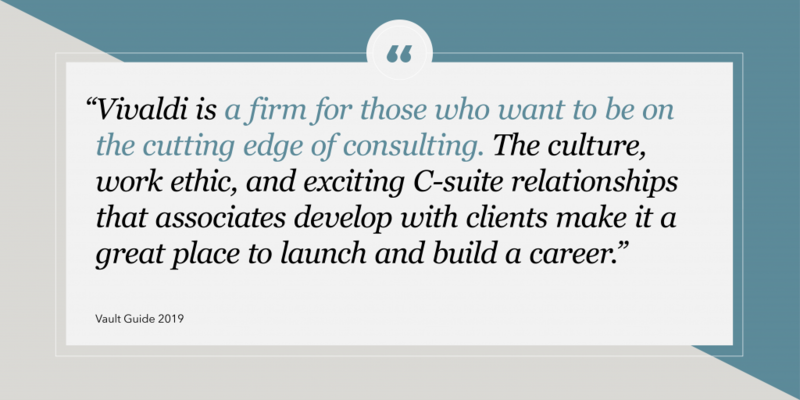 In addition to being named “Best of Consulting” by WirtschaftsWoche, we have been honored by the 2019 Vault Guide as a top 50 consulting firm and a top 25 boutique consulting firm. The high rankings this year reflect Vivaldi’s commitment to unlocking opportunities for our clients and employees. We strive to continuously write the next chapter by evolving our business to achieve everyone’s growth ambitions. Working at-and-with Vivaldi provides a unique opportunity to solve real brand challenges in the age of exponentiality. Read Vault’s complete profile here.